Founded in 1972, Preservation Treatments are specialists in property preservation and provide expert woodworm control to domestic and commercial sectors. The generic term woodworm relates to the larval stage of many species of wood boring insects. The initial attack is made when an adult beetle lays eggs in small cracks on the timber surface. The resulting larvae that hatch will bore into the wood in search of cellulose to feed on. The larva will create a chamber within the wood in which an adult beetle will emerge after metamorphosis. The new adult will continue to tunnel through the wood in an attempt to exit wood, creating a small visible flight hole. The adult will then seek to mate and start the whole process once more. The tunnels and chambers that have been created in this process will lead to decay and weakening of the timbers. How much does Woodworm Treatment cost? Each case needs to be treated individually with our experienced surveyors completing an in-depth survey of the works required. Preservation Treatments will identify the type of infestation that is present and will apply the appropriate spray treatment to the affected areas. In some cases where timber has been structurally weakened, replacement with pre-treated timber will be necessary. By far the most common of all insects that attack seasoned timber. 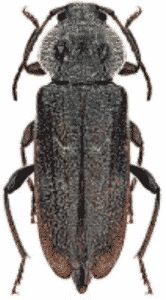 The adult beetle lays its eggs, between 20-80, in crevices in the timber. Hatching occurs in 3-4 weeks, the grub burrowing into the timber for between 2-3 years. Normally between May andAugust the adult beetle emerges through the characteristic flight hole. 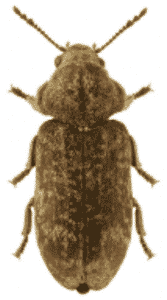 Adult Common Furniture Beetles can reach between 3 and 5 mm long. They can be found on and around damaged timber during late March to early August. Death Watch Beetle normally attacks fungally decayed hardwoods and can then spread to sound timber, being found principally in old oak beams. The name derives from the insects partiality for these beams which are often found in churches. Adult Deathwatch Beetles can reach between 6 and 9 mm long. They can be found on or beneath timbers, from March to June, and may be heard and seen tapping their heads. The ideal habitat for Wood boring Weevils is softwood or hardwood in damp conditions. Poorly ventilated ground floors, cellars and wood in contact with damp floors and walls are particularly at risk of infestation. This infestation can only occur in timber which has to some extent been pre-digested by a wood rotting fungi. Adult Wood Boring Weevils can reach between 3 and 5 mm long. They can be found on or around infested wood all year round. They may migrate in large numbers into adjacent rooms, particularly in summer months. Originating on the continent this insect has now become endemic in certain parts of Southern England, mainly in Camberley and Walton-on-Thames. The danger in infestations by this insect lies in its relatively large size, the grub growing to almost an inch in length. As the cycle can be as long as eight years, it is not long before structural weakening occurs. Adult House Longhorn Beetles can reach between 10 and 12 mm long. They are found on or around infested timber, from July to October. Contact us today to arrange for a survey. We will establish the type of Wood Boring Insect Infestation and outline suitable treatment.